Beach Stuff is usually a UK-wide endeavour but this page is devoted to Devon as that is where I live - and we have the most amazing marine visitors! 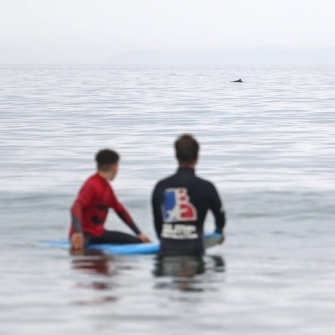 Porpoise were spotted in Woolacombe Bay on 11th July by Hunters Surf School! What an awesome sight! 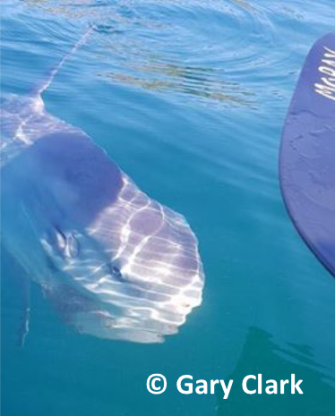 In July 2018, this sunfish was spotted by Gary about half a mile off Hele Bay, Ilfracombe. 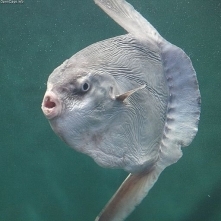 Sunfish (Mola Mola) are the largest existing bony fish. About the size (and shape!) of a dustbin lid, they move, albeit slightly clumsily, by means of two fins one which is on top of them and flaps about on the surface of the water, and the other of which is underneath the fish. When seen in the water their odd flapping movement means that they are often mistaken for struggling seabirds. They feed on jellyfish and have to eat huge numbers to maintain their size. Shared under the Creative Commons Attribution-Share Alike 2.5 Generic license. 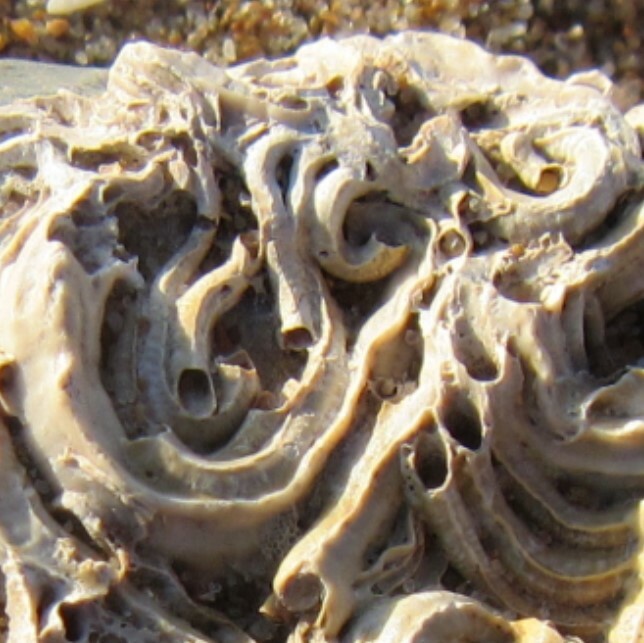 There have been many sightings on the coasts of north and south Devon, mostly, it seems, in the summer months when perhaps seas are warm and flat (ish) and there are jellies about. 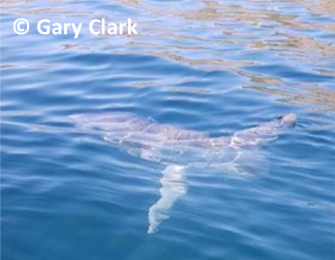 The Hele Bay sunfish was seen on 10th July. 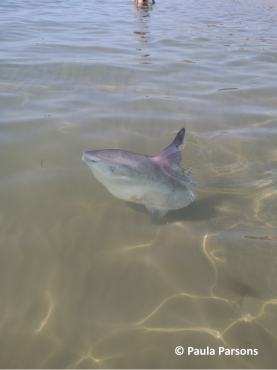 The day before, one was seen in Falmouth - there is a great video of it on the Beach Stuff facebook page. 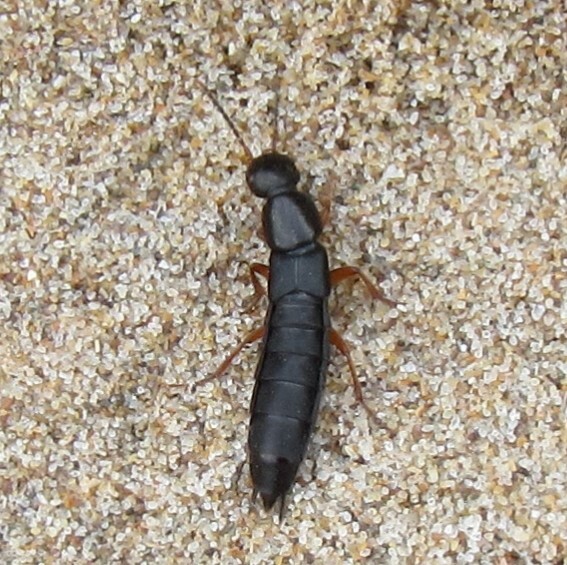 And on 8th July, the one pictured right was seen by Paula in Bowleaze Cove, Weymouth. It was in the shallows swimming between the swimmers there. 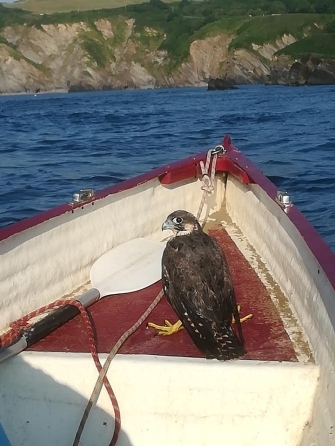 Ilfracombe Pilot Gig Club were out training one June evening and found this peregrine falcon struggling in the water of Ilfracombe Harbour. It as being mercilessly dive-bombed by herring gulls. The rowers managed to get it out of the water (carefully avoiding being attacked themselves) and row it to safety. 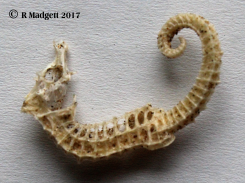 An expert took it into their care after identifying it as a female chick about eight weeks old. Any sightings you'd like to share? We can add your photos and stories to this website.